According to my professor, Boeing sent passenger airliners to South America as seemingly legitimate commercial purchases. 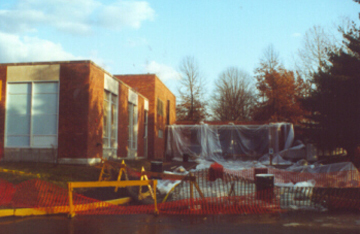 Once they arrived, the seats were then removed. They were then shipped to Africa, where they were retro-fitted with different parts to become bombers, and were repainted for Hitler’s own use. Much of the initial construction of these planes was apparently happening right here in United States factories. I had never heard any of this before, and yet our professor was talking openly about it, and laughing at how crazy “the world today” really is. 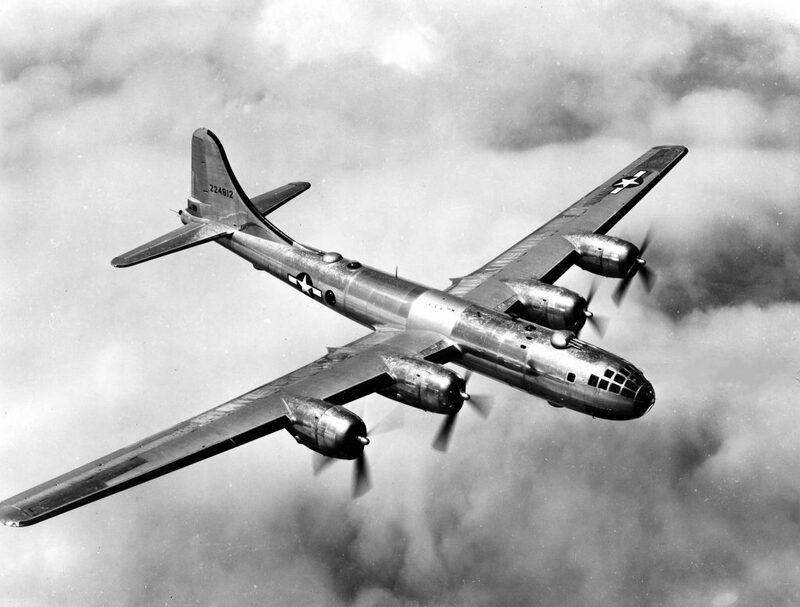 Notice the website’s own reference to it having a “passing resemblance to the Boeing B-29” in the caption. The German version has a longer tail, twin rudders, thicker wings and an extra set of propellers, but there are many direct similarities. Certain parts, such as the fuselage, could easily be made in the same factories with only slight modifications. Also notice the similarity of the rounded-off gun turrets on top, though they are farther apart from each other on the American version. These planes are obviously not the same, but also are certainly similar enough that they could easily have been made by the same manufacturer. The documentation that my professor was drawing off of for this information does not appear to have made it online. Here is a Yahoo discussion forum in which someone asks the question, and gets a bunch of “No” answers with no supporting proof to back them up either way. That doesn’t at all change what I heard in that class… and again, we were graded on our knowledge of this information. There were many, many unsettling and shocking things like this that we were hearing throughout the class. Every time you went in there, you could expect to have your mind completely blown. Given that I was already in the process of getting sober, on a campus with toxic waste drums, this class made life even more sobering. The Boeing connection requires more digging. 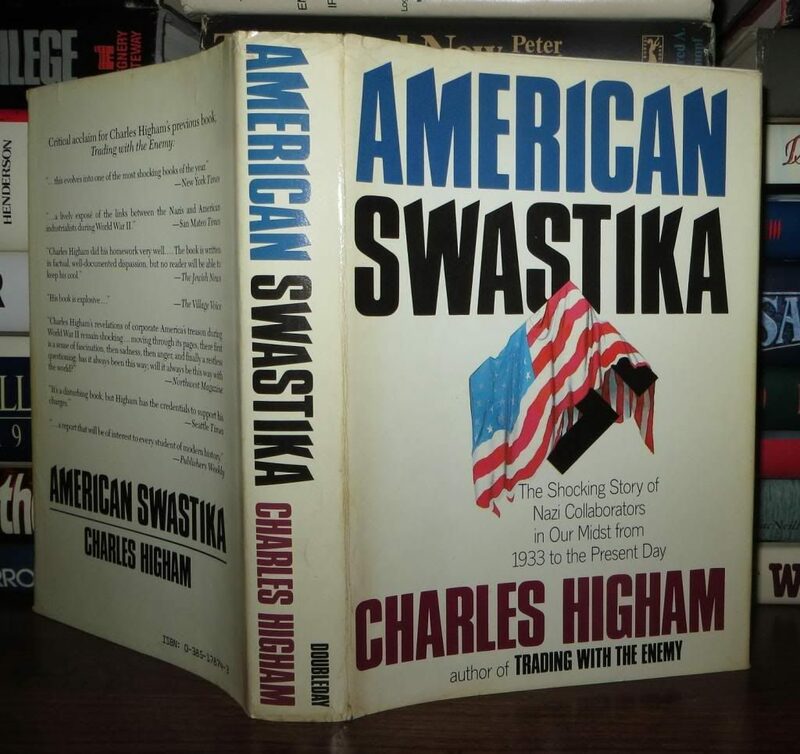 It is likely to be found in a book that has been largely scrubbed from the internet. G. Edward Griffin may know where to find it. I would definitely start the search by poring through classic John Birch Society publications. However, the connection of Ford and General Motors to Hitler is very easy to locate if you have the stomach to begin searching for it. 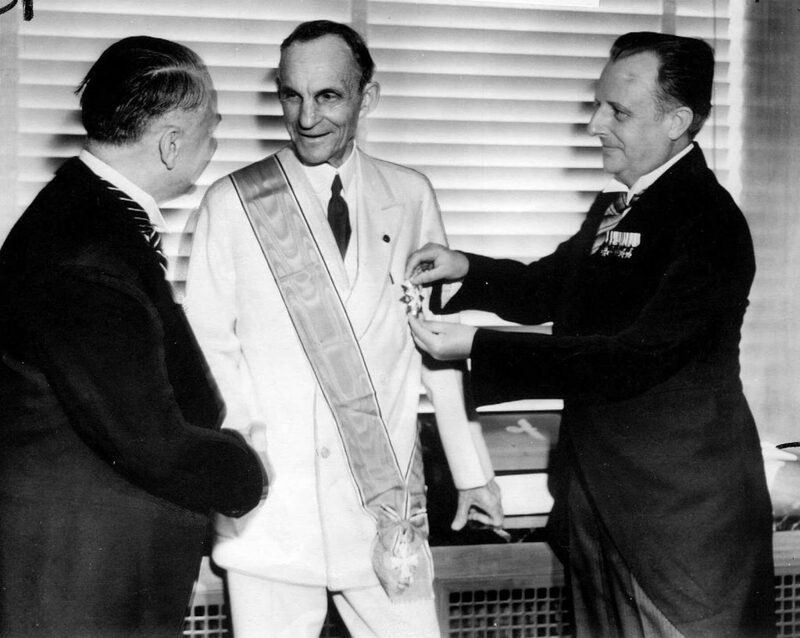 At a ceremony in Dearborn, Michigan, Henry Ford is presented with the Grand Cross of the Supreme Order of the German Eagle on his 75th birthday. Henry Ford was the first American recipient of this order, an honor created in 1937 by Adolf Hitler. 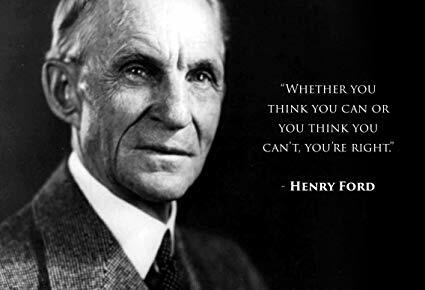 This was the highest honor Nazi Germany could give to any foreigner, and represented Adolf Hitler’s personal admiration and indebtedness to Henry Ford…. In a letter written in 1924, Heinrich Himmler described Ford as “one of our most valuable, important, and witty fighters”. Wait a minute… you’re saying this is the heroic father of the modern automobile, Ford himself? Isn’t it “interesting” that you have never seen television shows about this? How quiet it’s all been kept? How many “Real Americans,” to use Sarah Palin’s terminology, are proudly out there driving Fords as we speak? Prior to my articles, videos, books and public presentations, this was almost never discussed — and some people still don’t believe it. On November 30, 1998, the Washington Post wrote an article that may not survive very long on their site, but it’s there now. During the war, the car companies established a reputation for themselves as “the arsenal of democracy” by transforming their production lines to make airplanes, tanks and trucks for the armies that defeated Adolf Hitler. “General Motors was far more important to the Nazi war machine than Switzerland,” said Bradford Snell, who has spent two decades researching a history of the world’s largest automaker. “Switzerland was just a repository of looted funds. GM was an integral part of the German war effort. But documents discovered in German and American archives show a much more complicated picture…. When American GIs invaded Europe in June 1944, they did so in jeeps, trucks and tanks manufactured by the Big Three motor companies in one of the largest crash militarization programs ever undertaken. It came as an unpleasant surprise to discover that the [Nazi] enemy was also driving trucks manufactured by Ford and Opel — a 100 percent GM-owned subsidiary — and flying Opel-built warplanes…. Mel Weiss, an American attorney for Iwanowa… notes that Ford was eager to demand compensation from the U.S. government after the war for “losses” due to bomb damage to its German plants. The Washington Post article above goes into far more detail than what we have quoted here. It is definitely worth reading the whole thing. It’s not unreasonable that without the assistance of such American corporate giants as GM, Ford, ITT, DuPont, Standard Oil, IBM and many other US corporate giants, Germany might not have been able to mobilize for war, and the Second World War as we know it might never have happened. Gotta reference Antony C. Sutton!! 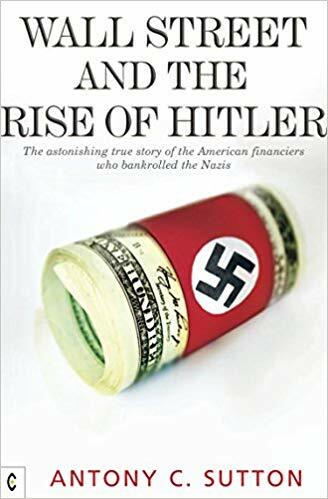 “Wall Street and the Rise of Hitler.” Whole chapters on GM and Ford. 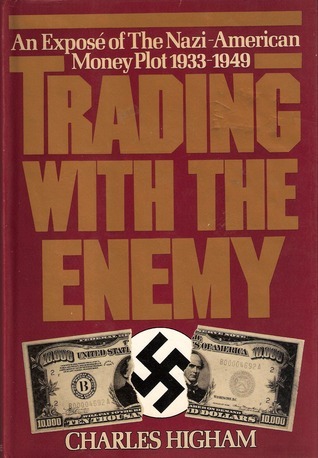 If you think such traitorous actions could never have occurred, I point you to another researcher [besides Sutton], Charles Higham, and his 1983 classic, Trading with the Enemy. “What would have happened if millions of American and British people, struggling with coupons and lines at the gas stations, had learned that in 1942 Standard Oil of New Jersey [part of the Rockefeller empire] managers shipped the enemy’s [Germany’s] fuel through neutral Switzerland… and that the enemy was shipping Allied fuel? Or that Ford trucks were being built for the German occupation troops in France, with authorization from [Ford headquarters in] Dearborn, Michigan? Or that Colonel Sosthenes Behn, the head of the international American telephone conglomerate ITT, flew from New York to Madrid to Berne during the war to help improve Hitler’s communications systems — and improve the robot bombs that devastated London? Or that ITT built the FockeWulfs that dropped bombs on British and American troops? Or that crucial ball bearings were shipped to Nazi-associated customers in Latin America with the collusion of the vice-chairman of the U.S. War Production Board, in partnership with Goering’s cousin in Philadelphia — when American forces were desperately short of them? If anyone has read these various books, please let us know in the comments section where Boeing is mentioned. This is very likely where my professor got the information. 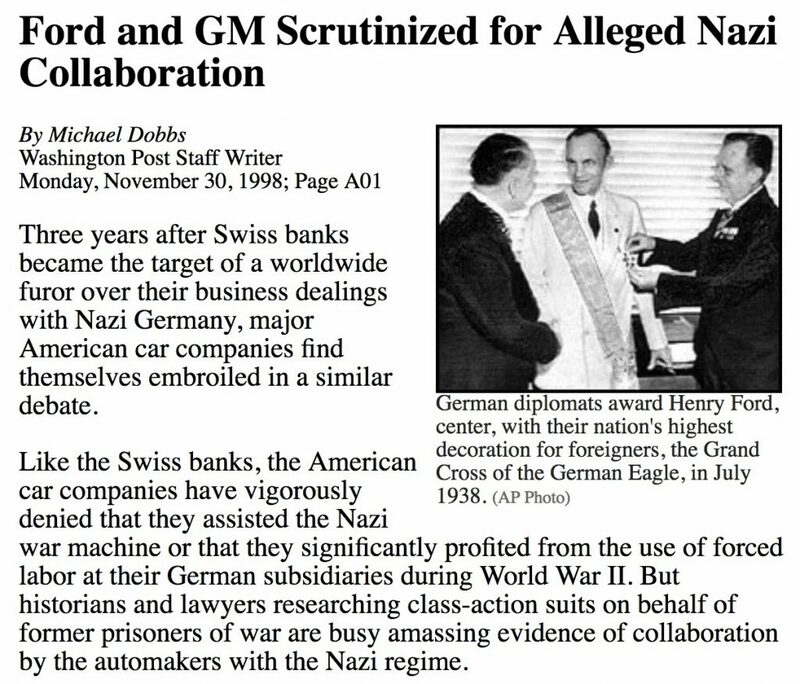 After reading this data, I do remember our professor telling us that GM was involved in the Nazi war machine as well. 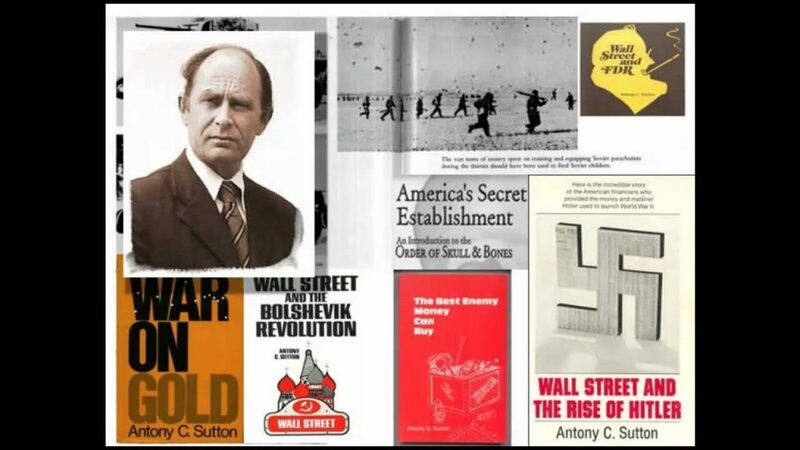 If Ford made Hitler’s tanks, and companies like GM and Boeing made his planes, then that meant the Nazis were a direct product of Wall Street itself. It was even more bizarre to be sitting in a classroom and learning all of this in the pre-internet days. I honestly had no idea of how many people on earth were even aware of this — apart from those who had been directly involved in the mega-conspiracy. I felt like one of the very lucky few who had the opportunity to know, unequivocally, that the history and worldview we were being sold on TV was a massive lie. If we could be told a lie that big — if US corporations could fund, build and defend Hitler, and I was being graded on it in class — then all bets were off. Anything… and I mean anything… was possible. And you were not going to find the truth on television, nor in magazines or newspapers. In light of campus officials telling us to go right back to our business amidst a toxic wasteland, and the insane treason revealed in my sociology class, I had many questions. Countless numbers of people had high-quality UFO sightings all throughout the 20th century. And if even ONE sighting was actually real, then that’s it… we are not alone. Not only are we not alone, but we are being very actively visited by intelligent, non-terrestrial beings with advanced anti-gravity technology. No self-proclaimed “debunker” could possibly be foolish enough to believe that ALL these documented UFO sightings were fakes. So many people had come forward with their sightings, only to be thoroughly hated, ridiculed and defamed for it. There was no profit motive. No upside. Yet credible witnesses — doctors, lawyers, government officials — risked everything they had to tell their stories. IS IT REALLY SO CRAZY? 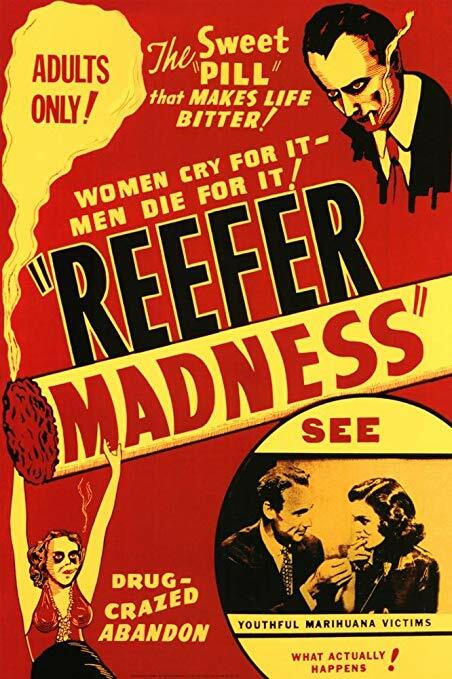 The propaganda that was being used was very similar to Hearst and Anslinger’s tactics to demonize marijuana. People were taught to write all UFO sightings off as dumb superstition. The TV shows invariably focused on witnesses with thick rural accents to marginalize the issue. Once again… the TV. Corporate, centralized control. We were being told what to think. We were addicted to being lied to. These same forces would never, ever tell you how Ford, GM and others enabled Hitler. Nonetheless, any one person who actually saw a UFO would take the truth of that knowledge to the grave. They may be ridiculed into complete silence, by everyone they know and love, but they know what they saw. It occurred to me that these craft may have cloaking capability that only occasionally malfunctions. I was still very much “on the fence” about UFOs. I still didn’t have any definitive proof. That all changed on the day a friend of mine showed up in February 1993 with one hell of a story. This professor blithely disclosed, to his entire physics class, that the Roswell crash really happened and was indeed an extraterrestrial spacecraft. He said they didn’t mind people learning about it through means like this. NASA just didn’t want it to be the top headline on the New York Times. Strangely, he also told the whole class that if anyone ever asked him about it again, he would deny ever having said it. Clearly he was very afraid… about something. My friend was brave enough to meet him directly after class and interrogate him for two hours about what he knew. The professor shared far more with my friend than he had with the class. My friend then disclosed everything to me, and a couple other guys he knew, but no one else. That one conversation, there in my dorm room, was probably the single biggest turning point of my entire life. 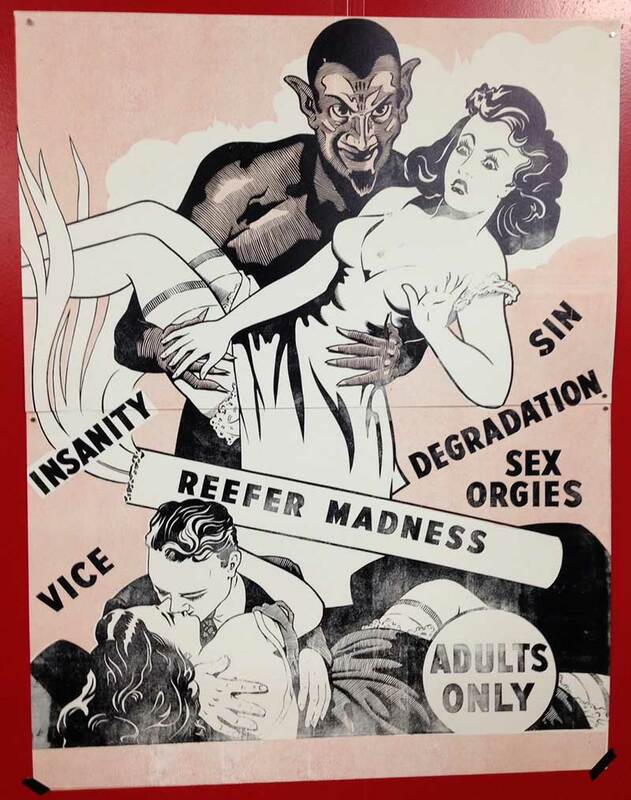 I was just a guy in a New York State “party school” with four and a half months clean time, trying to stay sober and maintain good grades while surrounded with temptations. Now, all of a sudden, I was faced with a “cosmic download” of epic proportions. 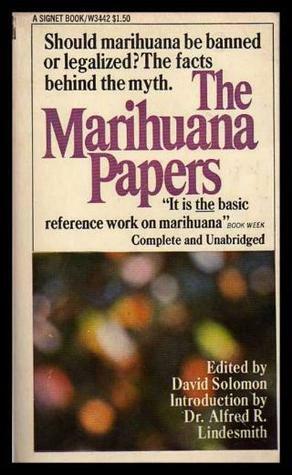 This was a much bigger cover-up than the marijuana conspiracy. And it had far more cosmic implications than that of Hitler being an all-American war machine. Our “leaders” were using group attribution to hide the greatest secret in all of recorded history from us — despite innumerable sightings. Given what I had learned — in my own college classes — about US corporations enabling Hitler, I realized this is absolutely possible. Now we have to go back and re-investigate everything — including all the “crazy” people who ruined their lives to share what they knew about UFOs. The professor’s NASA story had so many odd, quirky, technical “specifics” to it that it seemed very unlikely that it was false. 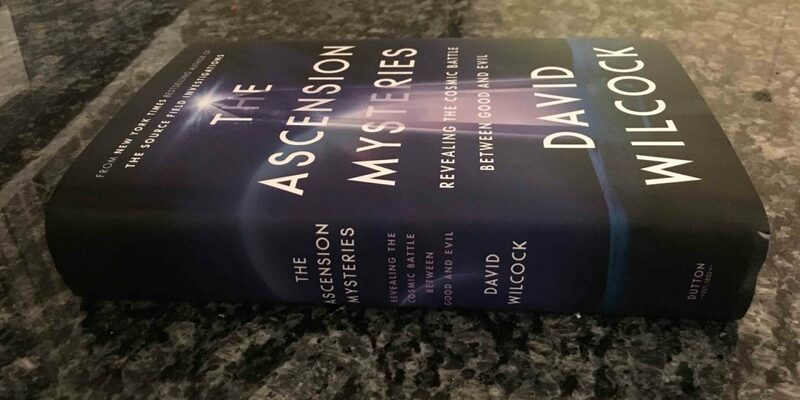 The Ascension Mysteries is just one of many works where I cover these details extensively. I knew the professor’s name. I could have gone to him. However, given his policy of denial and his obvious fear, I did not think this was a good idea. I had an insatiable desire to know more. I wanted to be there. I wanted to put my hands on those craft. To see the bodies. I wanted to get my own chance to fly one of them. To meet live ETs. To explore the Cosmos like Star Trek. The idea that some part of our “government” was actually doing this, right now, and hiding it from us, was totally irresistible. My friend had gotten as much information out of the professor as he could. The best thing I could do now was to dive into my own research. All I had to do to pass my classes was show up and take notes. I spent almost all of my remaining time reading UFO books. During the writing of Ascension Mysteries, I looked up the professor’s name and found that he did indeed work at a NASA facility in the 1970s. Out of respect to his family, I have chosen not to release his name even though he is deceased. I want them to live in peace. If I were to just casually drop it here in this article, I would effectively ruin their lives. There was no internet of any significance when I got this information in 1993. I hardly talked to anyone but my friend about it. We spent hours and hours reviewing what the professor had shared with him and trying to wrap our heads around the implications. I often compared this knowledge to what I had heard in my sociology class. 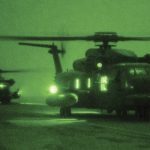 We heard that things like lasers, LED lights, infrared night vision, fiber-optic cables, computer chips, Teflon and Velcro had all been found initially on various crashed ships from elsewhere. The materials were then “reverse-engineered”, often by being sent to corporations as “foreign technology” to be studied and duplicated. 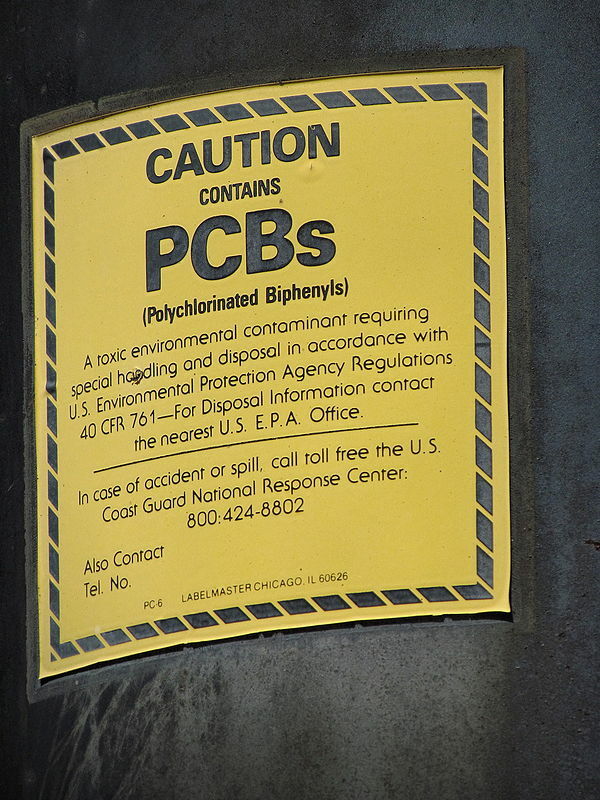 Without it, we might still have been using vacuum-tube computers that filled basketball courts. I very quickly ran out of things to talk about regarding the professor’s testimony, and needed to know more. I was starving for it. I couldn’t stop even if I wanted to. Once again, I enjoyed the sparkles, the magical kingdom of the forest elves and easy access to “Christmas Every Day,” but this time I was living. I had as many as five UFO books going at once. I didn’t even use bookmarks, but usually just kept them face-down and open on various surfaces in the room. I would walk out of Elting Library in New Paltz with backpacks full of books from the 000 “paranormal” section, bring them back and get more. I also realized that most of these books, though fascinating, were also woefully out of date. 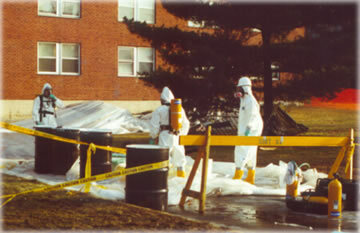 Most were from the 1970s or early 1980s at the latest. Despite how broke I was as a college student, I started putting all my money into buying books from Ariel Booksellers, the local metaphysical bookstore. This was my new habit — just like how I had dedicated all my cash to substances, not haircuts, in my freshman year. Nowadays, with how distracting my life is, it is admittedly all too common to buy a book and not actually read it. Back then, I would read every book I got my hands on cover-to-cover, and remember what I learned along the way. My college professors had also taught us to write in the margins of our textbooks, and I often did that with any books I bought and owned. By the time I started doing this in 1993, the UFO community had four years to discover, research and integrate the Bob Lazar testimony into their writings. 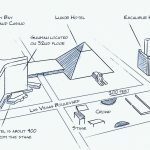 If a researcher came across Bob Lazar in 1990, they could get a book deal that year, spend up to two years writing a book, and have it debut in 1992. By 1993, the year I dove into all of this, the paperback version would have come out, which made it easier for me to afford. However, many of these books never went hardcover in the first place. 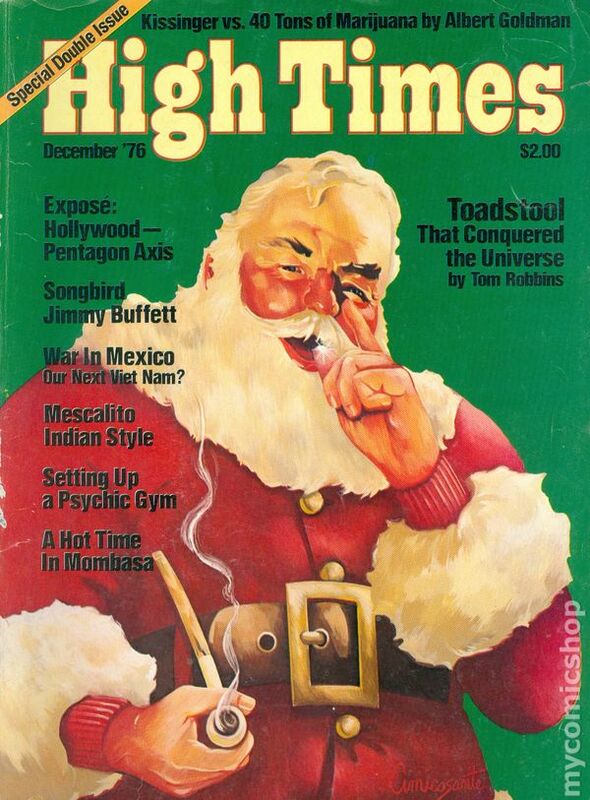 The industry didn’t consider the content to be ‘reputable’ enough at the time. You can only imagine how much my mind had burned with questions in the aftermath of the professor’s testimony. How I longed to be there in “the higher echelons of NASA” where this knowledge was commonplace. Perhaps they knew Hitler’s secrets as well. Years later I discovered that many German scientists were transferred to the US, including to NASA, after WWII under Project Paperclip. I was dazzled by the professor’s testimony about the propulsion systems of the craft, and the idea that some of them still worked. Apparently, a particle of radiation shot out going three quarters the speed of light. A trillionth of a second later, another particle came out at the speed of light. The faster particle bumped off of the slower particle like a billiard ball, then reflected back and struck the edge of the ship. This happened trillions of times a second, and caused the ship to move forward. I already knew something like this could happen after having had a “Radiometer” throughout my childhood, and reading about how it works. In short, you put this strange globe in the sun and the spindle inside the glass starts rotating. All by itself. 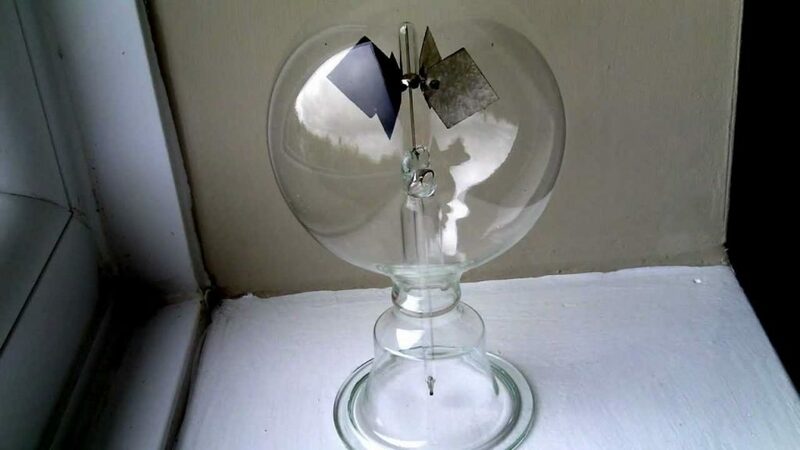 The “Radiometer” was a glass sphere with a needle inside of it. On the needle rested four diamond-shaped fins that could spin freely. The fins were black on one side, and white on the other. Most of the air was removed. The accepted explanation was that since the black vanes absorbed more light than the white vanes, they got slightly hotter. Heat is motion. More heat is faster motion. Black attracts sunlight and heat, and white repels it. More gas molecules were attracted to the hotter black side than the white side, and slammed into it when they hit. Countless microscopic particle collisions then caused the spindle to rotate. WHAT IF THIS WAS A POTENTIAL PROPULSION SYSTEM? The air pressure inside was low enough that the spindle did not meet resistance when it started turning. This was just like the vacuum of space. The Radiometer was only a science-geek curiosity item for most people, not a hint of an actual propulsion system. Yet, these countless microscopic particle collisions were indeed creating a macroscopic thrust effect inside the glass. The professor’s idea fit in nicely with the movement of the Radiometer, as I had observed so many times on the windowsill growing up. When the sunlight was bright, the spindle could get moving quite quickly indeed. The ex-NASA professor’s explanation accounted for how a ship could rapidly accelerate to near-light speed, very nicely. However, I was well aware that even normal light speed was still far too slow to allow extraterrestrial civilizations to travel here. Even our closest neighbor, Alpha Centauri, would take 4.3 years for us to travel to at full light-speed velocity. Even at light speed, we would need something akin to cryogenic freezing chambers to even hope to survive the enormous travel time it would take to make it much beyond our closest neighbor. I cannot be sure which author was first to break the Bob Lazar story in a book I bought at the bookstore. I’m pretty sure it was 1993’s Alien Contact, by Timothy Good, which is rich in specific detail and was a hot new release right when I started looking for books like this. The Lazar story had a complex, elegant and completely believable explanation for how “warp drive” travel could be possible. Since the new movie does not particularly geek out on these technical details, I want to mention it here. Due to the flexibility of space-time itself, this awesome force would actually grab that entire area of space and time and pull it through a wormhole, directly into the area surrounding the ship. Once you then turned off the gravity, that same area of space-time would snap back to its original location like a rubber band. Now your ship was contained in this same area — and you and your ship just zipped through a wormhole on the way back. It was simple, beautiful and elegant. It was very plausible. It also did not sound like something Lazar would have made up. The books made it very clear that Lazar had a rough life. He had not profited from this disclosure, and had retreated into silent obscurity. I had firsthand evidence from my friend that NASA was in possession of working, crashed discs and reverse-engineered technology. Lazar was just another person lucky enough to be welcomed into the truth — for all too short of a period of time. The other truly fascinating part of Lazar’s testimony, on a technical level, was the fuel system that he was told the ship was powered by. Again, this was not something you would expect a liar to just randomly come up with. It was very strange, unexpected and technical. According to Lazar, the whole ship was powered by a tiny piece of a stable, super-heavy material — Element 115. At the time he came out with this in 1989, no one even knew if an “Element 115” existed. It would be super-heavy, with 115 protons in the nucleus. This material was too difficult for our scientists to synthesize at the time with particle accelerators. Even if they did eventually succeed, as occurred in 2003 with what is now called Moscovium, it would disappear immediately. The current half-life of Moscovium is a blindingly-fast 220 milliseconds. However, in a super-heavy region such as a star, perhaps material like this can be found where it does remain stable. Mining material out of a star would require technology significantly more advanced than anything we have now. Nonetheless, it would be foolish to assume that such technology is “impossible” and could never exist. 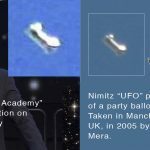 Lazar said that he was brought into “Area 51,” or “S4,” and that he was told they had nine different types of crashed UFOs in stock. He witnessed several of them sitting on the tarmac himself. He was hired to attempt to understand the propulsion system for one of them. After what I heard from the professor, and learning about compartmentalization in the UFO books, I couldn’t help but have questions. Lazar’s account fit very nicely with what I would have expected to find. I also wondered how much “they” really let him see. He only did the job for a short time, under the strictest of security, before getting unceremoniously tossed out. Perhaps they brought him in to study one system they hadn’t mastered yet, while having others that worked just fine. And if they had working prototypes right there in the hangar, that meant they could already have bases on the moon, Mars and elsewhere. Lazar was told that once you get up to Element 115, the material actually becomes stable and inert, rather than being highly radioactive as we would expect. Since we still do not understand quantum physics enough to truly master the atom, there is no way of knowing if this is, in fact, true. According to Lazar, the system would bombard the Element 115 with energetic particles. “Inside the reactor, Element 115 is bombarded with a proton, which plugs into the nucleus of the 115 atom and becomes Element 116. [This] immediately decays and releases, or radiates, small amounts of antimatter. The antimatter is released into a tuned tube, which keeps it from reacting with the matter that surrounds it. It is then directed toward a gaseous matter target at the end of the tube. 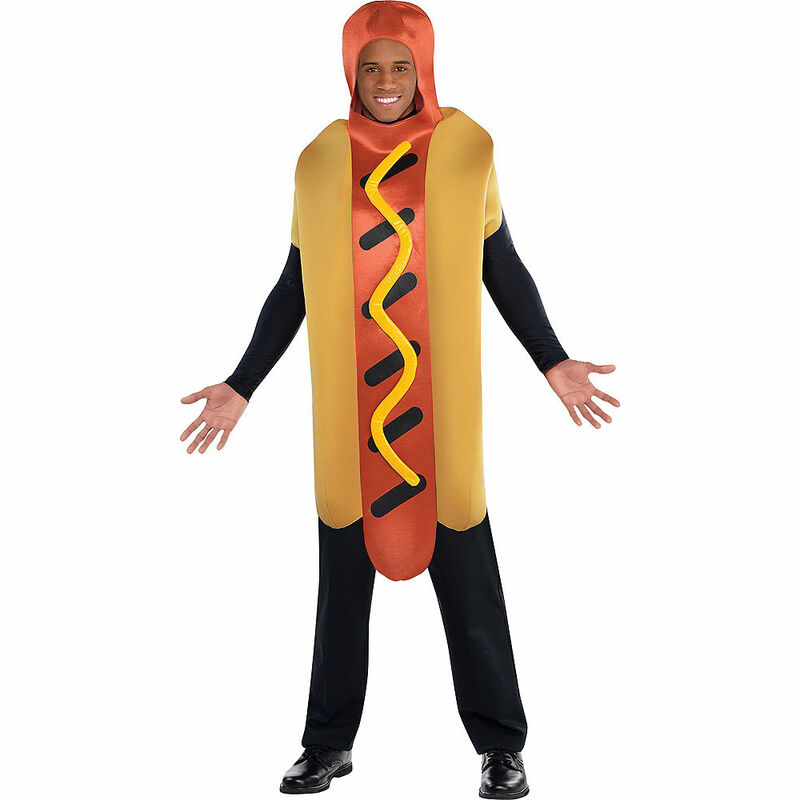 As is so often the case with anyone who doesn’t “wish to be an Oscar Meyer Weiner,” the jingle ominously reminds you, “there will soon be nothing left” of you. Lazar had a very hard road. Instead of recanting his story to get the “love” of the world, he stuck to it — and was villified. DIRECT THREATS TO LAZAR, KNAPP AND OTHERS… SOUND FAMILIAR? Check this out from the Daily Mail article that emerged along with the arrival of the new Lazar movie. Despite his low-profile lifestyle, however, [Lazar] still maintains that the government hasn’t forgotten about him. While he doesn’t assert that the government is necessarily after him, he does believe he’s being watched. And Lazar isn’t the only one alleging big brother-type activity; journalist Knapp backs him up on it wholeheartedly,. [Knapp told] DailyMail.com in an email provided by Corbell that he’d seen firsthand some ‘strange events’ when the story first broke. ‘There were break-ins at Lazar’s home,’ [Knapp] says. ‘His vehicle also had break-ins. Mind games being played. Threats were issued. “Lazar and others were bugged and followed. It certainly seemed like someone wanted to frighten him into remaining silent, or maybe they wanted to drive him a little crazy. ‘I was present for many of these events. I saw them with my own eyes, and I witnessed the aftermath as well. 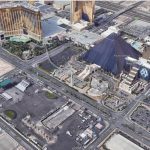 “I also know that I was followed for several months and that my phone at KLAS was tapped for a time. “This became apparent after six different people who had spoken to me by phone were visited and threatened by persons who worked for federal agencies, and/or defense contractors with ties to Groom Lake. “The witnesses did not know each other, and did not know me, but had agreed to provide me with statements which generally supported the story told by Lazar. The history of Bob Lazar and George Knapp, now brought up to the present day in the new movie, is a painful one. My own insiders, Pete Peterson and Emery Smith, both had their houses gutted to the bare walls, with all of their worldly possessions stolen or destroyed. Emery suffered a head-on car collision that could easily have killed him. And William Tompkins actually died, right in the midst of the “Blood Moon” total solar eclipse on August 21st, 2017. A series of very violent and suspicious events occurred soon after. 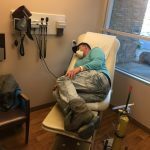 Emery had his dog Raven abducted and he immediately ended up in the emergency room with a strange, very high fever that same night. Shortly thereafter, his dog Beowulf was actually struck in a bizarre hit-and-run incident by an 18-wheel truck, and later died. This all happened immediately before we were scheduled to head out to Boulder for another taping with Emery. As documented here, I also received a death threat from two different sources — a formerly-trusted insider and a very wily and effective hacker of this website. That threat seemed a little “too close to home” on August 11th, 2017, when the brakes completely died on my car while my fiancee’ was driving it. This incident occurred only six days after I decided to ignore the death threats from the “Dark Alliance,” voice my public support of Corey Goode, and continue working with him. My wife tells me she was late for an appointment, and was hurtling down the mountain at top speed. The brakes gave out almost immediately after she had made it to flat land. Elizabeth believes the only reason she is still alive today is angelic intervention. If the brakes had failed just minutes earlier, she would certainly be dead. The brakes went straight to the floor. Nothing. She was only able to control the vehicle with the hand-held stick emergency brake. Elizabeth does not feel she would had the time to figure this out had the brakes given out on the windy mountain roads, with no guardrails. This was just two months before our wedding, which would have only amplified the emotional damage to me even more had the assassination been successful. Pete Peterson had already told me that Deep State officials had planned on murdering Kerry Cassidy through the exact same process — by her brakes failing in the mountains. In that case, they had even planned out where to do it — and Pete was able to use his political power to get it called off. 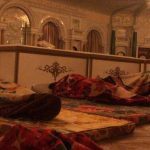 At that time, we were concerned enough about these attacks that we had kept my fiancee’s involvement with me strictly confidential. I was told by one of my top insiders that if I continued to support Corey Goode, I was going to die. Only six days after I charged forward to expose the Dark Alliance and defend Corey, there was an attempt on my soon-to-be wife’s life. The Dark Alliance continues to be active in their coordinated attacks through videos, articles and social media, but my expose’ of them did damage their agenda. The Deep State plan started with me publicly ‘divorcing’ Corey. Even better, they hoped I would say that he made it all up. 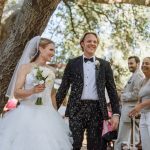 They believed this divorce was inevitable, between their death threats and the silence I had maintained in the preceding months, as Corey’s reputation was falsely ripped apart by certain individuals. The Deep State planned for Corey to crumble under the ‘Dark Alliance’ attacks, fade from the public, become bankrupt and spiral into a terrible depression. Then they intended to create a staged suicide death, complete with a note, that the public would then believe was normal and plausible. That plan was heading into the final stages when I decided to risk my own life, and the life of my fiancee’, to intervene. Alliance insiders from some of the highest levels “on the inside” later revealed to us exactly how this plan had been structured. 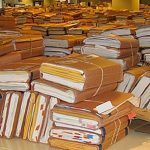 Now, as we documented in the last article, we have seen the untimely deaths of Preston Nichols, Karl Wolfe and Bob Dean, all top whistleblowers. This was precisely correlated with the near-death of my classic insider Daniel through a bizarre case of apparent poisoning. All of this happened in a short burst at the beginning of October 2018. It is valuable, from a research standpoint, to meet the woman who sleeps next to him at night. Is he a serial liar? A con-man? A fraud? If so, why did he never make the slightest effort to profit off of his story — or even just to speak in front of an audience? Click here for the dedicated link to this video on Larry King’s site. This was a very impressive interview! A truly legendary event in UFO history. 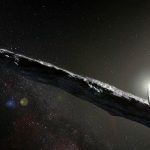 After seeing something like this with my own eyes, I feel even more strongly that Disclosure is upon us. We will have much more to say on that in the next article. 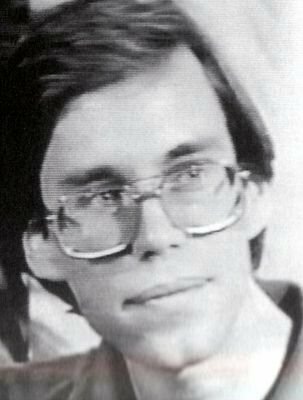 Seeing Bob Lazar come full-circle and re-appear in the public eye is a truly mind-blowing experience for a UFO historian like me. There are many interesting specifics where Jeremy Corbell followed up on research leads Lazar had put out, and hit pay dirt. Viewing this film is also a way to directly support the mission of disclosure by providing critically-needed funding when it is needed most. 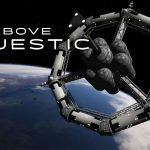 Orchard Entertainment also released and distributed our film Above Majestic, which is a great follow-up to Bob Lazar. We are told that the 1000-comment milestone on Amazon is truly rare. Many of the top studio superhero films never even hit it. This is all thanks to your ongoing support and encouragement. I’ll be back soon with the wildfire article, and in the meantime, do check these films out! PreviousDiscussion of David’s Critical New Disclosure Film — #1 Documentary! 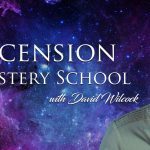 NextDavid Wilcock on Ascension Mysteries: 4.5 Hours of New YouTube Videos! “Declassified papers have emerged which reveal the US government spent tax-payers money researching science fiction concepts such as traversable wormholes, invisibility cloaking and ‘state of art and evolution of high energy laser weapons’. The Defense Intelligence Agency (DIA) released the list in response to a freedom of information request. When I watch Corey Goode and Emery Smith, you have my attention. 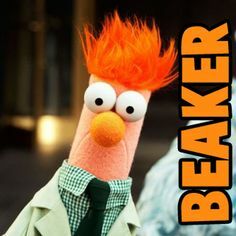 But when you start pumping up Qanon as if he/she is as credible and sane as they are, you lose me. Qanon seems like a biased beast of the extreme right – nothing like one who supports the loving selfless society that the Blue Avians encourage. A Post Disclosure world is about service to society. The political figures Qanons supports are nothing like that whatsoever. I’m truly surprised you don’t see that. Just because they’re anti Cabal doesn’t mean they’re the right choice for America. The fact there may be 51,000 prosecutions of the Cabal may seem like a good thing but one has to ask who is going to fill the power vacuum? I’m not thrilled at the prospect of libertarians or extreme rightists running America as we need a mindset shift to a loving society. The likes of the above are all about service to self. – not others. I agree with you about Qanon, but this societal transformation can’t happen in the USA alone. It can only happen globally. As all the central banks are tied together, they must all fall. Thank you Robert. You have asked the same things I have been concerned about myself. I am sorry to see that we still seem to be more concerned with “right” or “left” when it is all about shifting or lifting ourselves higher. Completely agree that we need a mindset shift to a loving society and not sure either if these Q’anons even understand that. Would they be willing to turn things over to those who are more inclined that way…to a world that’s about service to society? Who will be the ones to take the next steps needed?? David obviously believes this is the case due to all his long-time insiders. How do you guys think about the ending of Salvation? Pretty much the same as The Event. And just as The Event then Salvation has been cancelled for another (3rd) season to explain what it is that’s arriving at Earth. David, have you considered the great pyramid shape as an octahedron? As above. so below. 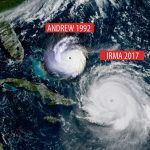 I want to cast a vote for you and Corey doing a video presentation/talk on the outstanding information coming from Ben Davidson’s Suspicious0bserver web site on “Earth’s Catastrophe Cycles”. Davidson’s concept of a “micronova” and its effects on the Earth pull together so many things that have been presented by the New Age/UFO/ Ancient Aliens researchers that it took my breath away. He is using straight forward animations and video sequences to bring a vast amount of current research into focus for his listeners. Whether it is why the people Corey has met within the Earth live there (“The surface is so dangerous.”); or why Gobekli Tepi was buried; or why there are so many underground cave systems in Turkey and around the globe; or why the US has spent so much money on DUMB/tunnels/underground rail systems; or why we really went to the moon and an Event like a ‘micronova’ makes each piece fall into place. Corey has already posted links to some of the videos in this series, now up to 11 (and planned to be about 20). Word is getting out faster and faster about Davidson’s theories and the science that supports it. Please give this some attention and include it with your next conference with Corey. David, I’d really like to hear what you have to say about the possible minor cataclysm that happened in the early 1800’s. Bob’s gut feeling when he first saw these crafts was that they were some sort of archaeological find. It is my belief, after much research, that mankind had advanced technology before this minor cataclysm. The vimanas and flying carpets aren’t that old, but probably belonged to Asian tribes like that of the Mughals or Grande Tartarie. This may not be a coverup of history at all, but a look at what happens to the physical world when there is a spiritual ascension and an ascended society becomes a breakaway society and the physical world undergoes cataclysms for the non-ascended and the nursery program begins again for incarnating souls on Earth. Ben Fulford = Guilty pleasure. I don;’t know if his insiders have ever made a correct call in terms of projecting forward in my timeline. Even though insiders have been wrong about everything always, I’m still addicted to getting their input. Guilty pleasure? The insiders know more than I do. Except nobody knows what will happen tomorrow, next week, etc. only guess that he didn’t know that he was lying. However, the whoever told him that had to know it was bs. The advantage with David,, for me, is I know that he has a spiritual orientation. He meditates. He interprets his dreams. He meditates. I started reading his blog in 2002, and have read every post since then. 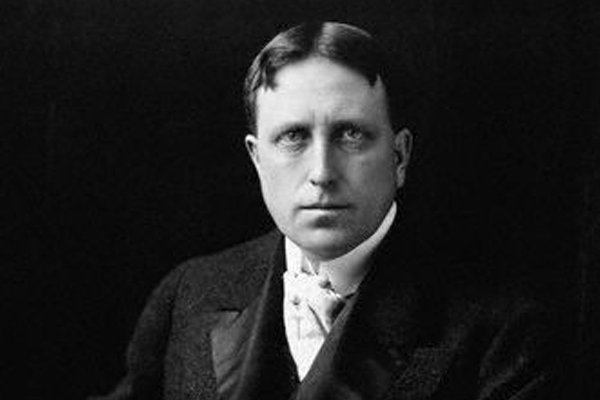 With Fulford, I hop on board for a week or two, and then forget about him for periods of 8-18 months. I do think his overall dissemination is more than 50% accurate. He knows a lot about the Fukushima atrocity. I trust that the Dragon Family is real. So many crimes against humanity. And so much need for disclosure. FYI, Foster Gamble of thrivemovement had also mentioned some mysterious ancient wealthy family in the East who are willing to offer their resources to the right people (at the right time) in order to avoid crisis. There is now lots of excitement in the air, and not only about UFO disclosure, but also the Magnetic North Pole has moved so fast that they have to readjust the systems for navigation. Besides one researcher group claims that both magnetic poles are splitting to two, which is usually seen in the beginning of the pole reversal phase. The axial North Pole has also been moving faster and changing direction. Hey! What the **** are you doing?! There’s a mass meditation coming up. Bigger than the August 8th 2017 one! Get in , we need your followers! 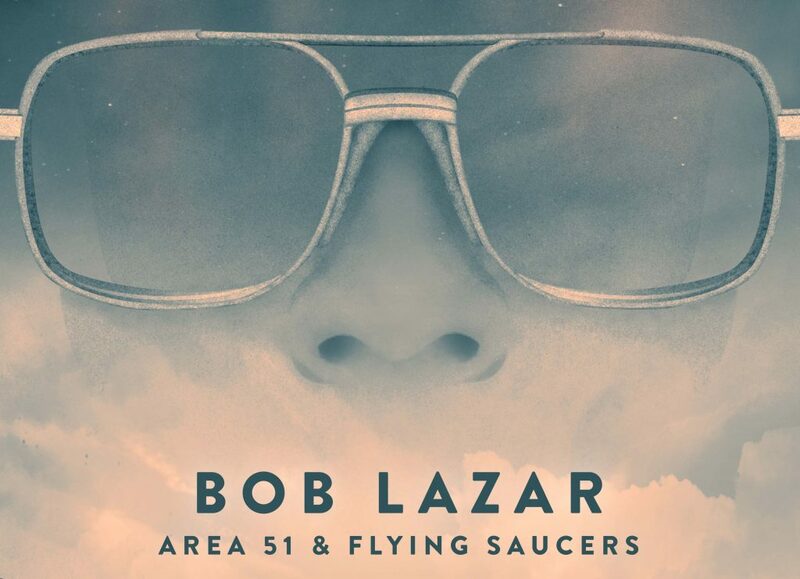 Bob Lazar actually worked at S4, south of Area 51 where 9 hangars were occupied by ET craft. 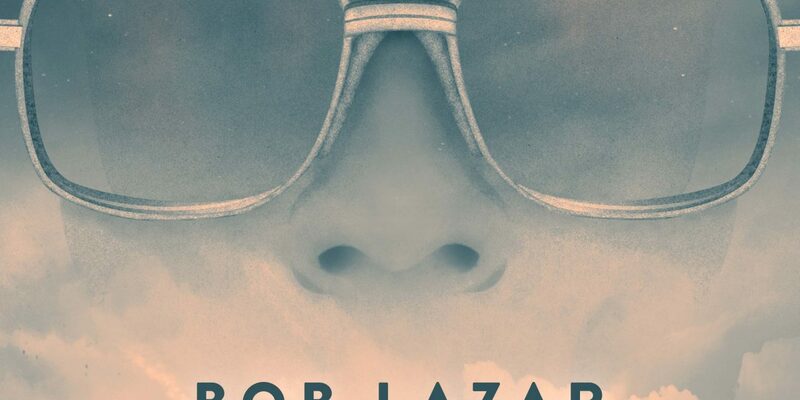 Good to see the re-imergence of Bob Lazar, although I have seen a little of him through the years…. This looks like his come back, which he well deserves after all of his credentials were wiped, his work history at Los Alamos erased and he was totally discredited because he simply told the truth. He is an awesome physicist! but it is a bit boring to go into here. He also knows the locations of the hidden entrances camouflaged on the side of mountains that open up allowing craft to leave and enter the DUMBS, which are all connected underground. how have you studied “the technology now in use by the SSP”? will look forward to your reply! realm of inquiry longer and deeper than he has. His difficulty with Corey helps me realize that he might not have ever had a mystical experience that he is aware of….. what I have liked about him is his ability to function as a bridge for newbies. Newbies, for the most part, aren’t ready to absorb the LoO, 20 and back, and the other examples of HD tech, etc. Richard’s base does not include Law of One students. I don’t even think his base includes what LoO calls wanderers, I prefer the term graduates. We went backward. I could never tell if he was a wanderer or not. Now I’m pretty sure he’s not. Almost everyone in the audience at a Wilcock/Goode presentation is a wanderer. So maybe our task has something to do with reaching out to the non-wanderers. That’s what we do pretty much 24/7, right? I cannot tell if any of my relatives are wanderers. The distinction can be subtle. I’d worry less about who has evolved how far and instead concentrate on your own development. It’s all gray area. Here it´s mentioned, that there could be a connection to Boing, not directly but via the German knowledge transfer to USSR after WW2. 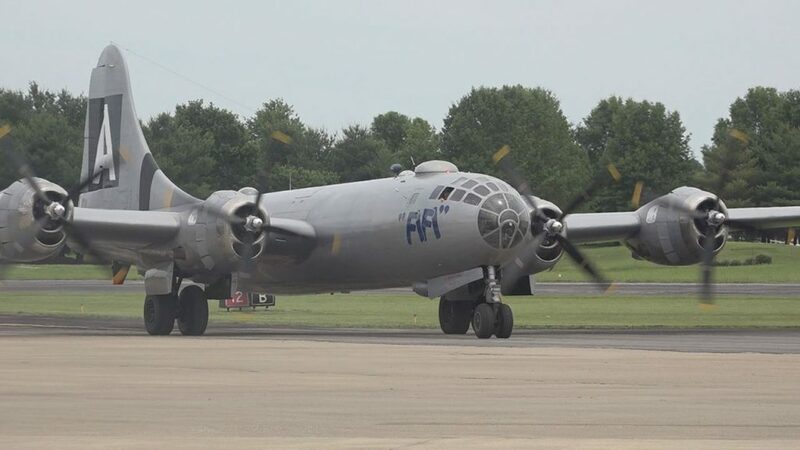 The B-17, B-24 and B-29 is mentioned here… and how the Germans where forced to help the Russians to build copy´s of them. Maybe I’m missing the point, but coming to this cold (and really only to support Disclosure, and cause David & Corey have recommended) – I found it pretty underwhelming. 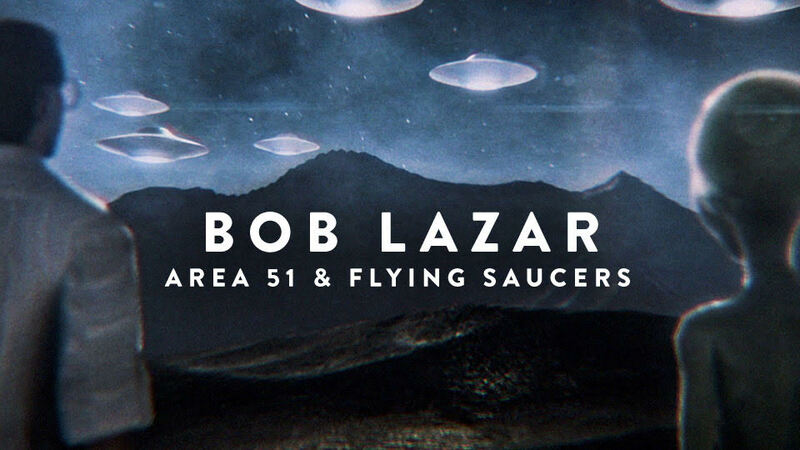 I feel sorry for Bob, of course…but as a movie/doco – well…I guess it’s good for people who need proof of the most basic questions like ‘are there actually secret government programs hiding (and using) advanced alien tech?’. THERE ARE!!?? WOW!!!! OK. Well I guess that’s good to inch the whole thing forward for those who are that far behind. I was glad I rented it rather than bought it, seemed kind of not much to it. But I haven’t had years of knowing of Bob Lazar – maybe if I had it would have been a lot more loaded for me. 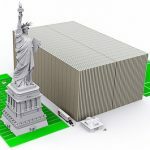 This document–a Revelation of epic proportions, will transform the current disclosure paradigm. 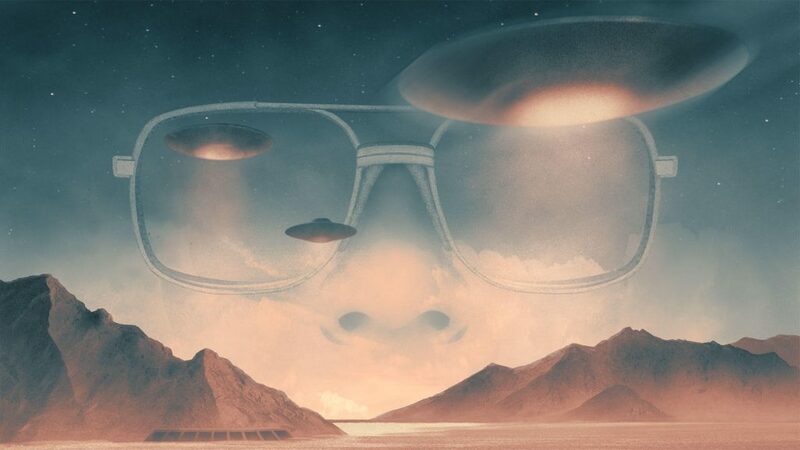 We ( these subscribers) are fully committed to this embryonic disclosure and how it will, over the course of this gestation, eventually reveal all the truths — none more anticipated than those of Bob Lazar. I’d love to know what your intel says about the blue light over New York recently. Not sure what you saw. But look up project blue beam. Might be some answeres there. You know what I found interesting…… The New York Times ran a 4 page ad for the new show Project Blue Book on History Channel. Front page show a large blue colored lights in a cloud with the headline…Hundreds see huge UFO It also has info about the real Project Blue Book. Inside has more info and archival news clippings from NYT about different UFO sightings. Back page had full page add for the new show. I’m thinking it must be some kind of soft disclosure or they are seeding the “non red-pilled” people. Anyone else out there see this??? They filmed a bunch of that movie on a colleague of mines farm. I doubt it will be much different from all the other ufo programs that make it onto mainstream tv. Can someone please help me make sense of this? Henry Kissinger has been a friend of mine. I’ve liked him, I’ve respected him. But we’ve been friends for a long time, long before my emergence in the world of politics, which has not been too long. 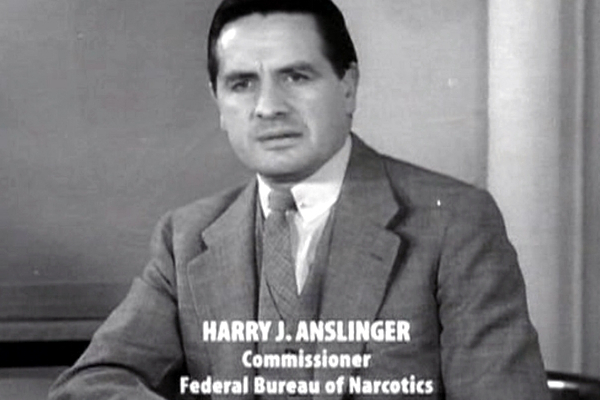 He’s been friends with Henry Kissinger for a long time. He has great respect, etc. I have seen some evidence that Trump is anti-NWO/Cabal/Shadow Gov’t/etc. So does he just pretend to like Henry? At this point in time, together with the military, he is doing what has to be done. There is a strange political dynamic here amongst those who are anti-Cabal. Some seem to gravitate towards the anti Cabal, anti Globalist far right without recognizing that they are nothing like the “being of service to others” types that the compassionate ETs encourage in our society. 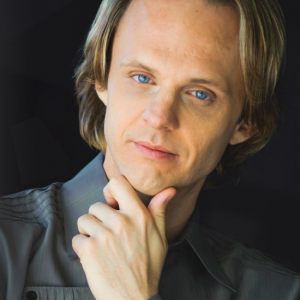 I even question David Wilcock for this. I’m not clear that Qanon is supporting higher consciousness people in this world. Q seems to be supporting Neo-Cons and unilntereralists. That’s got nothing to do with the Light. I truly believe Lazar’s appearance after so many years of silent obscurity is not coincidental. It’s clear that the Patriots or white hats are now in control with the Cabal being systematically decimated and on the run and no longer have the control and thus fear factor over the masses it once had. 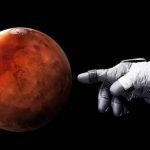 As such, I believe Lazar and other events such as the POTUS announcement of a Space Force along with increasing frequency of various other once secret disclosures more than likely are part of a larger orchestrated effort which is on the leading tip of what will eventually, much sooner than later lead to full disclosure of once secret technologies and programs such as the SSP, bases on Mars, the LOC on the moon, Antarctic, etc. Saw the segment about Paradise, CA on Edge Of Wonder. Quite fascinating because I always felt we have Extraterrestrials living among us. When you think about all of the genetic experimentation going on both on and off world many of us are really just ET hybrids. We just don’t realize it in the same way that there is a Jetsons society (SSP) that coexists with ours. I truly feel we are at the very beginning stages of the Golden Age but we need to get through the last bits of chaos we’re seeing around us but it’s coming. before Atlantis and Lemuria. Most famous example is Val Valient Thor as described in the book Stranger at the Pentagon. of Venus changes on the higher densities. The blue avians who gave us Ra Materiel: Law of One, say they moved beyond third density while on Venus more than 1.5 billion years ago. These fourth density humanoids that look like us age very slowly. People say that Valient Thor’s look has not changed since he arrived in the ’50s. The Venusians know the actual history of our solar system since they were among the ancient builders, etc. I don’t suppose anyone can guess how many years it will take before cultural exchange with ETs will be public and normalized. Perhaps it will occur immediately following the projected solar sneeze of around a decade from now. 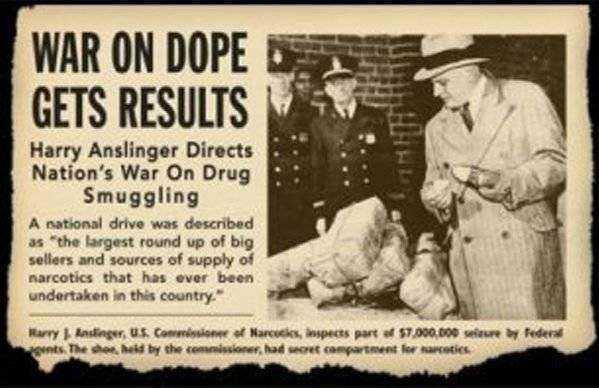 I first began learning about all of this “conspiracy” stuff when I went back to college in 2014 and took a class about drugs. The final project was a paper on our opinions if weed should be legal or not. 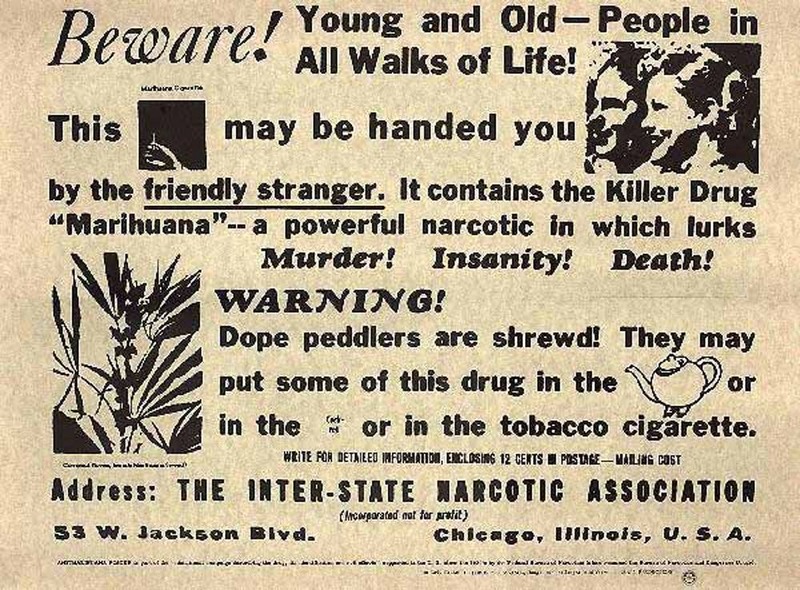 That’s when I discovered how much can be made with hemp and how the people behind some big and damaging-to-the-environment products (such as plastic) didn’t want hemp to be legal or mainstream because it could replace a lot of products that we use now. That’s when I first heard names like Rothschild. 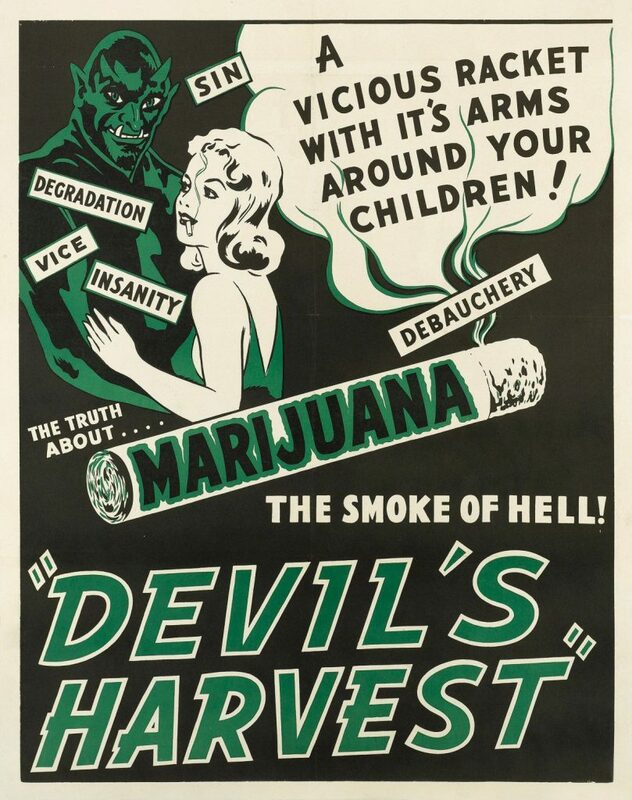 They didn’t want hemp to replace their products so they made a smear campaign against weed. 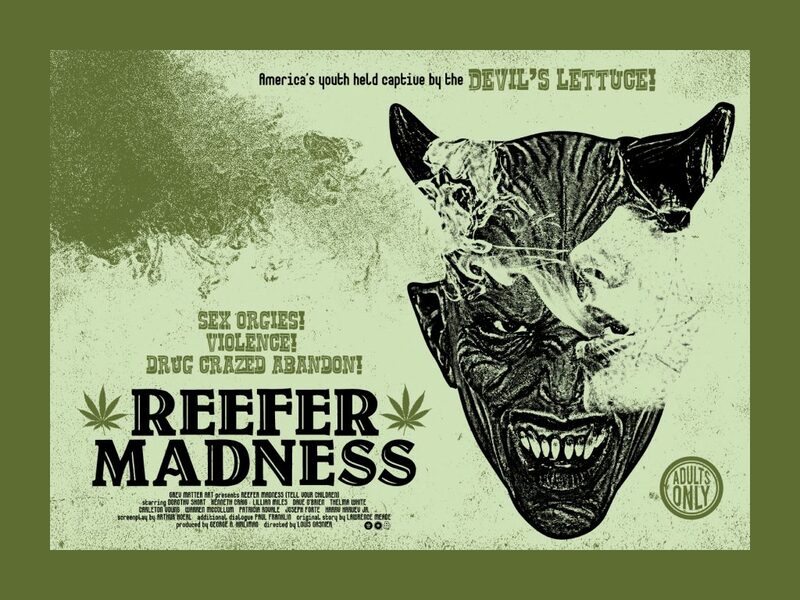 Of course, at that time, I thought it was just a conspiracy involving weed and hemp. I had no idea how far down the rabbit hole I was about to fall. I then stated to read and watch videos about 911 and MKUltra while I was bored working in the fitness room. And of course, the stuff about the Illuminati, which I wasn’t really trying to research at first but it just kept coming up until I finally paid attention. That was right before my full-blown spiritual awakening and vibration raise, in which my third eye opened. I’m positive this is what happened to me, although it took me a few years of research to fully figure it out. At the time, again, I didn’t even really know what a third eye was. Thanks David! Amazon account is a problem (I dont use itunes) Does anyone know if the film is available through Vimeo yet? They ask for Passport ID. 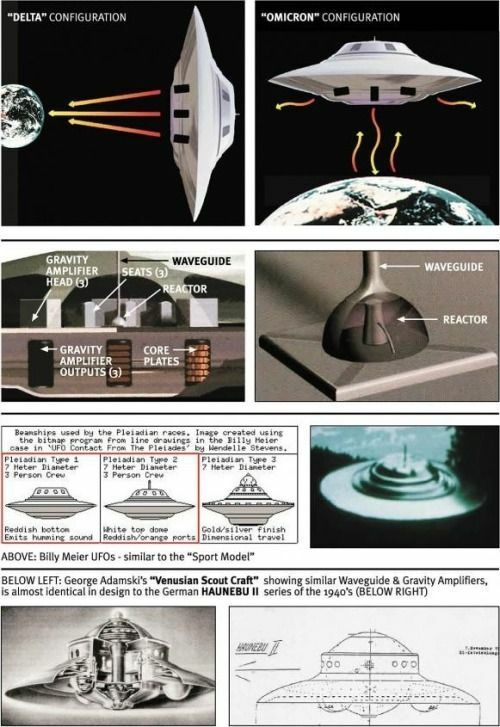 Your brief section of UFO propulsion truly underscores how so much disinformation and smoke has been poured over the very idea of fuel-less, inertialess, perpetual power generator that everyone has become completely blind to potentials of absolute simplicity. Naturally, this isn’t really surprising, since it pertains directly to the most highly guarded secret in history; but the real secret is NOT that the technology is highly abstruse and complex by nature, but that it is so fundamentally simple. Reality hides in plain sight. Every single electron, for example, is just such a generator as the one everyone seeks, and I would like you to think about this: an electron has “mass,” which means that it must, by the acknowledged “laws” of thermodynamics, consume energy during its compulsion to spin. However, a brief calculation quickly reveals that the electron necessarily “consumes” more energy in moments than represented by the total mass of the electron itself! So why does an electron spin forever? Where is the energy coming from? It’s being gathered and concentrated by the dynamics of its own spin. And in fact, if an electron were top ever stop spinning, it would cease to exist by definition. Begin with a previously magnetized, hollow, steel torus. Partially fill its interior with mercury, indium or gallium to play the role of an armature. There are now two ways to initiate its propulsive potential. In the Samarangana, the “iron container” of the generator casing was heated by a flame, which “set the driving whirlwind in motion.” Few people today know that if you heat an annalus of mercury from below with a rotating bunsen burner, the mercury will begin to move four times faster in the opposite direction. We could however, instead of this approach, just hook up a high-voltage energy source to the outer rim in order to initiate the core process, but let’s just go with this more mechanical scenario for the moment, because it more closely resembles the design of Faraday’s self-exciting disc dynamo and may therefore be more accessible to understanding. Long prior to this point, the initial source of current is no longer required and may be removed as superfluous, and the generator continues to function as long as the central vortex is not deliberately damped. In this sense then, what we have here is a propulsion system that is nothing more, nor less than a macroscopic model of any given electron and a Faraday self exciting dynamo, but one with NO MOVING PARTS. 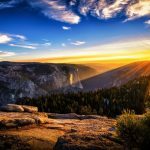 At bottom, this self-same principle is naturally fundamental to the nature of consciousness: a completely unified, utterly integrated principle and process, thoroughly characterized by balance, harmony, feedback, resonance, and self-propulsive, self-exciting potential, all as one and the same thing. This of course, is why the nature of consciousness and various psychic phenomenon are so deeply intertwined with the subject of extraterrestrials AND their craft. It’s all one thing. Wow Colin thank you for that comment! Beautifully succinct. Thanks, Candtalan! And you’ve given me an excuse to elaborate : ) Succinct I attempted to be, but was then forced to leave out the most interesting implications, but I will reiterate: It’s all one thing. When an electron jumps from one shell to another, it either emits or absorbs electrons. This is a clue that the body of an electron is nothing more nor less than a concentrated field of “light” –otherwise known as electro-magnetic radiation. What happens is this: As a photon enters this rotating field of light, its magnetic component spontaneously forms a rotating toroid of force that, in turn, then compels its own “electrical” nature towards the center of the field and then out, along the axis. In effect, whereas in a beam of light, the electrical and magnetic aspects are mutually perpendicular to one another in a sequential stream, so to speak. Once caught in one of its own self-perpetuating vortexes, this creates a configuration that’s mirrored at the mechanistic level by your basic Faraday disc dynamo. As above, so below. Bear in mind that, as the magnetic field of each electron makes its circular sweep, it attempts to capture any and all light that falls within its perimeter and compel it to join the stream of force traveling towards its axial domain. The effect of each electron on every other in its vicinity therefore has The quality of “mass” of this field of light –that is otherwise massless!– is created by the mutually reciprocal, push-and-pull compulsion that its rotation produces. In a manner of speaking, every electron thereby attempts to ‘steal’ the light of its neighbors. Science measures this propensity as “mass,” which does not exist in and of itself, but is purely an artifact of rotating E/M forces. This is why the occupants of vortex-generator driven ships do not experience any effects of momentum with respect to the rest of the Universe AND can even exceed the speed of light, because the propulsive field of their respective craft far exceeds the collective force of the electrons ambient to the craft. Zach, the “laws” of thermodynamics ARE, the principal modes of electron interaction by definition. Electrons are also the pivotal transition point between classical and quantum relativistic physics, being the universal, common source for all photons which are, indeed “quantum” by nature and definition. Moreover, it’s already a widely understood tenet of physics today that electrons ( and “particles” overall) are not “things” in the classical sense and thus inseparable by definition from its spin. The spin of every particle IS the particle. All I have done here is to point out that classical physics also assigns a given quantity of “mass” to each electron, and therefore, the radial momentum of this math can be easily calculated in its effects, but to maintain such momentum, energy must be “consumed.” At this point, conventional physics seems to refuse to contemplate the next step, which is to explain where this energy is coming from, or more importantly, where it goes once this alleged consumption has taken place… Because, you see, electron spin never, ever stops, and the reason for this is that while the spin of the electron must indeed represent an expenditure of energy, it is obviously also the ‘mechanism’, if you will, by which each and every electron also simultaneously gathers and collects energy. The mechanistic view of physics is always tripped up by this presence of mass in this instance, which seems to negate any possibility for the perpetual motion of particles that clearly comprises the very essence of existence. In fact, “mass” is really just a measure of relative spin, which is why, in this particular instance, it CANNOT be used to represent a factor of resistance to the internal motion of particles. It’s symptomatic of spin, and does not exist apart from it at any level of manifest matter. I should mention in passing that your thinking is muddled by equating Newtonian principles and the laws of thermodynamics as basically on and the same thing. Newtonian principles are mechanistic by nature, which is why they don’t “translate” well (or at all) into the field of quantum physics, but this is not strictly the case with thermodynamics. And here’s a “fun fact” for you : ) Did you know that Nicholas Leonard Sadi Carnot is often referred to as the “father of thermodynamics”? Thanks for your reply, Colin. Very evocative ideas. Can you then extend your model to account for the other dozens of particle types? And if electrons are the root of the rest, then what are quarks? Don’t electrons as well as the other particles have quarks as constituents? Lastly, I’d like to ask if you’re familiar with Nassim Haramein? How do you sit with his ideas? Good questions, Zach : ) ! My model DOES apply equally to all other ‘particles.’ The primary variant here is centered entirely on frequency. The more discrete the particle, the higher its internal frequency of rotation. The Universe could not ‘ether’-wise exist if it were not ultimately grounded on a single principle, a single root dynamic, because it must, by definition, be utterly integrated –that is, unified– just in order to be thought of as ONE thing. At the highest frequency levels of our particular universe, quarks naturally function in the same, but more encompassing manner with regard to the entire spectrum of lower frequencies within our literal spectrum of existence. If they did not, the principle of self-manifesting and self-perpetuating motion could not exist at any other level. There can be ONLY one principle that defines existence. Otherwise, the universe could not maintain its own internal unity and fundamental integrity of existence. I AM familiar with the work of Haramein. He doesn’t know it, because he has not yet grasped that the nature of “mass” is a derivative, a secondary interpretation if you will, of relative rates of spin. Ask him if perpetual motion exists and he will most likely answer no; but ironically, he otherwise has all the toroidal math in hand needed in order to implement the construction of a macroscopic “electron” in theory and practice; aka a propulsion system. Colin, lets party and build some flying saucers! Did anyone get that Trump’s border wall speech of January 8th ended at the 9:11 pm mark EST..
No. You are for sure the only one. Btw, I’m pretty smart and I can’t even figure out if The Wall is a real or fake issue. The wall is a big topic in the mainstream news, right? Doesn’t that make it wholly pretentious? int the news. Plus, left vs. right would be neutralized if the whole truth was available to everyone, right? The Wall is a total distraction and it’s working. The mainstream media as well as extreme right and left are obsessed with it. It’s a total telenovela (soap opera) about Dems vs. GOP, Pelosi vs. Trump. It has nothing to do with the economy, national security, education system, medical crisis in this country. We need to look at what’s going on in the shadows. Perhaps it’s the 51,000 indictments. Perhaps it’s a coming power grab? Just cuz they’re anti-Cabal doesn’t necessarily make them the good guys. Ben Fulford stated that his speech lasted exactly nine minutes and 11 seconds. Now that’s more profound if it’s to the second, and it would take a lot of planning or achieve this with precision. I’m going to look for the speech online and time it to confirm. Fulford’s sources said the 9’11’ duration was ‘a prelude to declaring a national emergency associated with releasing the 9/11 files. Plus, he said that the partial gov’t shutdown isn’t really about funding the wall. Apparently, we really are in the storm now. Dear David: Thanks for everything. Regarding brake failure on your car, driven by Elizabeth: I would say it is not necessarily a case of being sabotaged. Driving downhill on a mountain road for a long ways, especially if one is ‘riding the brakes’ and not downshifting and letting the engine slow the car can cause brake failure, due to overheating of the brakes. When the brake parts overheat, then the brake fluid boils and turns to vapour. The result: No Brakes! . . . This is exactly what happened to me driving down Mount Haleakala on Maui in 2004, which is a drive of several hours. There is even a sign on the highway near the top, as you start down that reads: “Shift Down to Avoid Brake Failure” (first time I’d seen that one; but there should be an exclamation mark after it). . . . Perhaps because I was driving an older rental car, despite downshifting, I ended up with the brakes going right to the floor. Fortunately, I had just stopped and turned around to take a photograph, and I was going UPHILL at 20 mph when it happened, and could coast into a driveway; otherwise I probably wouldn’t be writing this. . . . I knew something about overheated brakes, and that when the brake fluid cooled and liquefied again, I would be fine — and I was; though in shock for the rest of the day. And very contemplative about things like fate and destiny. Can never thank you enough for what you have done for my life. When I discovered Wisdom Teachings I watched the back episodes all day long for days on end. I couldn’t wait to learn all that you were teaching. I miss your genius, your love for others and your personal values of staying positive. I miss them so much. I could write a book on what you have taught me. I am happy that you and Elizabeth found each other. I pray for everone’s safety who is in the the field of disclosure. You truly came to Earth this time to be one honest voice we can believe in. Thank you for your sacrifices to do this for us. There can be no greater love than the giving of one’s life for another. You have done that for me and countless others. We are the millions of people who all of our lives asked why and how, who were driven to learn. We wanted to know about history, humankind’s explorations of the unknown, about the universe, our galaxy and the life forms who lived there. And more. Much, much more. Throughout my life I knew there was more and was ridiculed for it. Your Programs on Gaia were life changing. Thank you for making my life what it is today. Well said Susan. I am sure you speak for MANY!!!! Whoa….so just listened to the F2B interview. re: the new briefings coming in! and the military tribunals underway…and the rollout from that ie McCain, Bush Sr etc. Wow. Great to hear the briefings have started again. Are you actually going to put this in writing in the blog post that’s coming? Hey David I’m from New paltz. 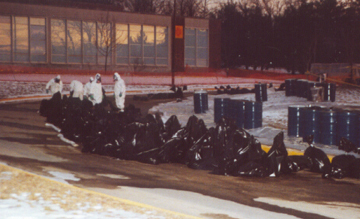 I remember that transformer blowing dioxin all around . So Oscar Meyer is no more? Though we remember. Another universe bites the dust. How do I find out why your not doing Cosmic Disclosure, and where is Corey Goode? Does he have any new messages? Gaia doesn’t seem to have an email address. Great job on Above Majestic, and this recent post on Bob Lazar, but I really miss Wisdom Teachings since following it from the beginning. I understand why you are no longer with Gaia and hope you are looking for another platform. I know you have a lot more wisdom to teach us and look forward to the day when your teachings return. you can find Corey Goode on his facebook page. He is doing a conference in Hawaii and Colorado which is where he is living. Also I believe he will be doing ” Contact in the desert”.